Marble and granite worktops may not be the first thing you’d picture when designing a family bathroom. However, these durable and elegant stones are an ideal way to create a space that’s relaxing and enjoyable for adults to use as well as being practical and easy for the rest of the family. At Surrey Marble and Granite, we are proud that our work lasts and lasts. The natural usable lifespan of a stone floor can be centuries, and as a result, we encourage all our clients to think ahead, and imagine how they will use a space in two or five or ten years. 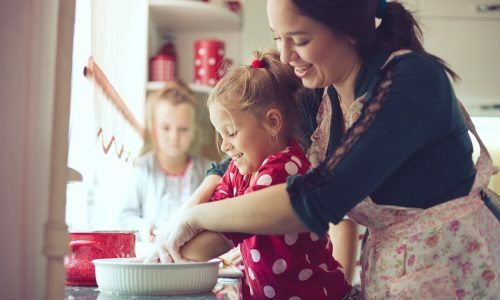 Having families of our own, we know that the frantic toddler years and the early school days quickly give way to greater maturity and independence. Building a bathroom that your toddlers love to play in and you can also relax in is a joy for the whole family, and a testament to the versatility of marble and granite. Although marble and granite are often used as examples of things that don’t change, stone bathrooms are very customisable and the type of bathroom you create is purely down to your taste and needs. Stones like marble and granite are very versatile and the same stone can look very different in different settings. For example, the same marble worktop can look futuristic in a sleek, modern design, natural and organic paired with bamboo flooring and a rainfall shower, or classically elegant with brass fittings and an ornate mirror. Natural stones like marble and granite are used for a wide range of bathroom elements, from tiles to basins to worktops. Processed stone can be moulded into shape, forming elegant sinks, shower trays and other items, as well as tiles and worktops. Processed stone is sealed as it is created, so is naturally anti-bacterial, stain resistant and easy to clean. Many people are surprised by the range of colours of natural stones such as marble and granite. Choosing a processed stone gives you an even broader selection, including pillar box red and glittering jewel tones. At Surrey Marble and Granite we can offer advice on each stonework decision, from choosing the colour of your granite worktop to selecting the right finish for a marble floor. We’ll offer our expertise at every step, starting with a no-obligation free consultation. Many people assume that stone worktops need to be marble white, granite grey or shades of beige. Nothing could be further from the truth. 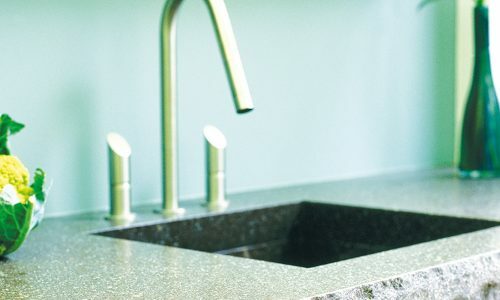 As well as beautiful natural stones in all shades of the rainbow, processed stones like Arena Stone and Silestone have further expanded the range of colours available so you can have a stone bathroom or kitchen worktop in any colour you like. As Saint Patrick’s Day is around the corner, here are 4 of our favourite green stones.